When should you take your retainer out? If your orthodontist has prescribed full-time retainer wear, you should only remove it when you eat, brush and floss your teeth, or to clean it. 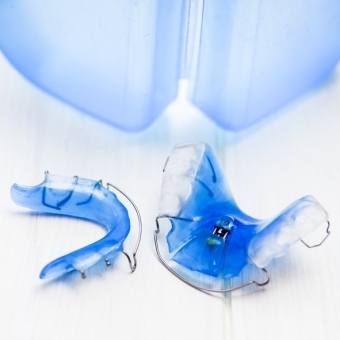 If you play sports, you should take your retainer out when participating and replace it with an athletic mouth guard to protect your teeth. If you only wear your retainer part time, you’ll have it out and stored more often. Place a small dab of soft soap on your toothbrush and gently brush your retainer to remove any bacteria or plaque buildup. Rinse the retainer (and your toothbrush of course) with cool water to remove the soap. Once you have cleaned your retainer, it should go straight back in your mouth, or straight into its case. Don’t leave it lying on the bathroom counter, and don't just wrap in a tissue or leave it on the table beside you while you eat; these are surefire ways to lose or damage your retainer..
Also remember to never leave your retainer anywhere hot, like in the car on a sunny day, or near the stove, as heat can warp the plastic. If you have more questions about retainer care and storage, we can help! Contact one of our BC orthodontics practices today.